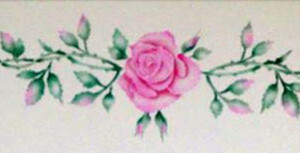 Use this stencil to trail beautiful roses all over your walls or ceilings. 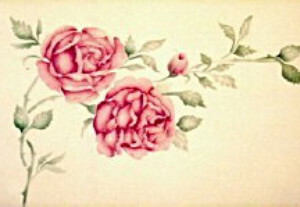 Great for stenciling ceilings or walls. 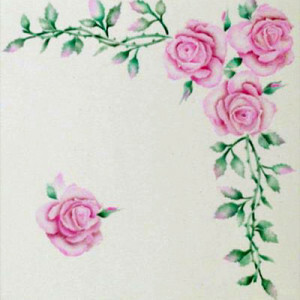 Use this beautiful Rose Stencil design to use as a vining rose element in your mural or to drape over and down doorways or windows. Position them right at the edge of the ceiling and they will seem to be growing from behind the wall or stencil them across a wall or large piece of furniture. 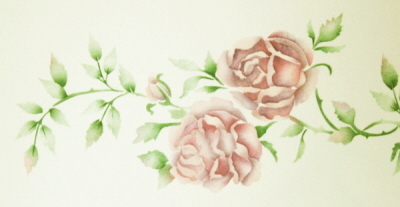 Trailing roses in a room create an instant feeling of romance and grace. 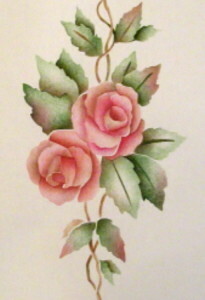 Try using this stencil to completly encircle a light fixture or as a spray at the corners of your ceilings.